With an enhanced sponsor commitment from Bass Pro Shops and Tracker Boats, Martin Truex Jr. has agreed to a two-year contract extension with Denver, Colorado-based Furniture Row Racing. Truex qualified for the Chase last year and advanced to the Championship Four at Homestead-Miami Speedway before finishing fourth in the final NASCAR Sprint Cup Series standings. This year, he collected his fourth career victory, leading a NASCAR-record 588 of 600 miles in the Coca-Cola 600 at Charlotte in May. 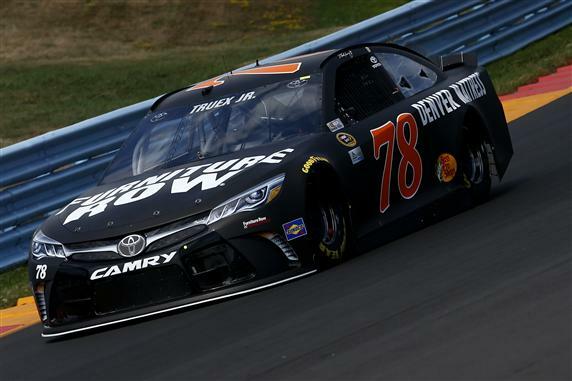 “The last year-and-a-half with this team has been amazing,” Truex said on Friday afternoon at Watkins Glen, where he was second fastest in final Sprint Cup practice. “Just looking forward to continuing that momentum and building upon our success. Final four last year was a big deal for us, and looking forward to hopefully getting back there this year and do it even better. Bass Pro Shops and Tracker Boats has increased its primary sponsorship commitment on Truex’s No. 78 Toyota from 12 to 16 races for the 2017 season. contract, Furniture Row Racing, Martin Truex Jr.